Condo Culture | Less than 24 hours to Launch! Less than 24 hours to Launch! You asked for a unique and modern condo on the with all of the benefits of city living but close to nature - we listened to your suggestions and we made it happen! The official launch event of Blackstone Condominiums in north Waterloo is less than 24 hours away and this is definitely one you won’t want to miss. 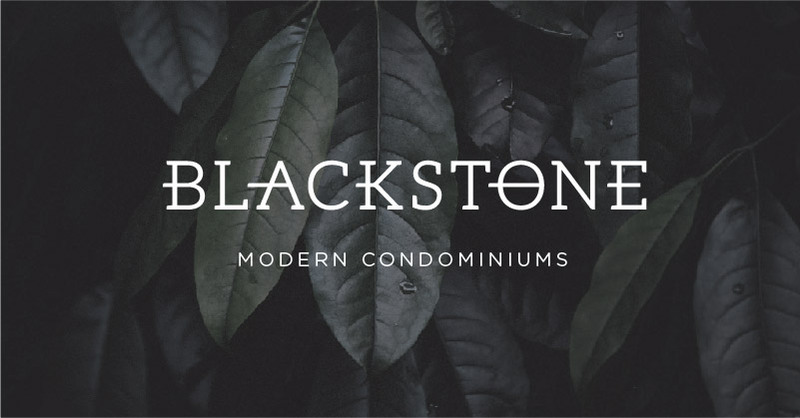 Without a doubt, Blackstone redefines what a mid-rise condo project can be, and provides an exciting opportunity to those looking for a new condo to call home or for investors looking to expand their portfolio. The project has been inspired by Scandinavian living and designed around the comforts of a modern farmhouse creating an unmistakable style that can only be found at Blackstone. Blackstone Modern Condominiums provides many of the features we seek in an urban space, while giving you quick access to the Grand River, farmers markets, excellent road and mountain biking, running trails, golf courses, sports fields, horseback riding, and more. The projects is also minutes away from numerous restaurants and excellent shopping amenities for everything on your list. Blackstone is extremely well-located for any type of lifestyle. The outdoor enthusiast will enjoy the natural trails that flow along the Grand River. RIM Park and Grey Silo Golf Club are also within walking distance. The everyday foodie will enjoy Blackstone’s close proximity to St. Jacob’s Farmer’s Market, Canada’s largest market, as well as the many restaurants and craft breweries just a short drive away. Need more? Blackstone is located amongst major and growing employment, has quick highway access, and is a 5-minute drive to the expanded Conestoga Mall containing the likes of Apple, LuluLemon and the Bay amongst many others. Condo Culture's latest project launches in the Kitchener Waterloo Region have sold out in less than 48 hours! Over 4,000 people have registered for Blackstone making it the largest registration list that we have ever seen local market. Make sure you arrive early to chat with one of our representatives for more details or reply to this email for VIP Access. Have a great weekend everyone!